Perfect Family Quiz is an invaluable source of entertainment for the whole family. 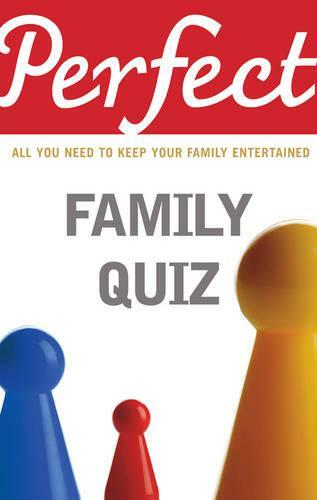 Whether you're looking for a fun way to spend a rainy day, an activity for a long car journey, or you simply want to improve your general knowledge, Perfect Family Quiz has all the questions and answers. With topics ranging from Beatrix Potter to Harry Potter, and from prime ministers to prime-time TV, this easy-to-use quiz book will provide hours of fun for everyone. The Perfect series is a range of practical guides that give clear and straightforward advice on everything from getting your first job to choosing your baby's name. Written by experienced authors offering tried-and-tested tips, each book contains all you need to get it right first time.